Please introduce yourself to the Desktop Documentaries community. Where are you from, how do you get interested in documentaries, where are you now in your journey? And if you haven't already, make sure to sign up for Free Documentary Tips. Hi, I came across this website as I was trying to look for proper tools necessary for filming. The answers I got is incredible. I am a junior history major at a private liberal arts school. This summer I am looking to expand my portfolio by creating a documentary about an individual from the Civil War who was instrumental in the development of this part of the UpperCumberland region of Tennessee. I happened upon this site yesterday at the beginning of my research. Will it prove helpful? I hope so, but that remains to be seen. Thankful that people out there are investing in aspiring filmmakers like this. Several years ago, I answered a Craigslist ad placed by a retired USAID diplomat who wanted someone to copy edit and punch up his oral history. I had never been paid to write before and barely knew what USAID was. Nevertheless,I jumped off the cliff, grew wings, and got the gig, which is archived in the Library of Congress and quoted in diplomatic training journals. That cliff dive launched my professional career as a writer/editor/critic. When I got asked to help with a documentary by a guy who's been in the film industry for ten years, I said sure. (I've never written a documentary.) I then searched online for help. And, wow! There was Faith's site! The information is presented in an easy-to-learn way; and, more importantly, it presumes the reader will be successful. I jumped again and found my wings. Thank you so much. I will be back again and again. My name is Yen and I am the Outreach Programme Manager for The Grierson Trust, a UK wide new entrant training initiative for 18-25 year olds who want to work in factual programme making. Looking forward to reading/hearing from/sharing/learning from members of the site. I have spent the last 15 years teaching every aspect of journalism, basically running a small business with students as employees, and now I'm looking to get off on my own and start a career for myself and my family. This site had some great information, so I thought I'd stop in from time to time and see what's going on around me. Time for me to learn! This site has offered great advice, and I hope I can put it to good use. Faith, I've been looking for a website like this for years! Now that I've found it I will stay here!!! I'm not a Pro and yet I'm looking forward to learn as much as I can from you and from ALL of the People in the Documentary World! I have no words to express my gratitude for delivering so much valuable information for free!!! Again: Thank You so Much! I am glad to be part of this family. And ready to for new innovation in Documentary world. I'm a longtime documentary filmmaker, as well as the founder and co-host of The D-Word, a worldwide discussion forum for documentary professionals. Since this is an html-free zone, I'll just say that you can find us by simply adding a (dot)com to d-word. I've known of Desktop Documentaries for a long time, and am grateful that Faith directs many of you to The D-Word as an additional resource (and we happily reciprocate). But I'll admit I'm only now checking this website out in depth and it's absolutely awesome. I can't think of a better resource for anyone just starting out making docs. And really helpful, as well, to those like myself who've been doing them for many years. The thing about independent documentary filmmaking is you never ever stop learning and growing in both the art and craft. Anyway, very happy to make your acquaintance at long last. And thrilled to be complimenting Faith's great work in building and sustaining a worldwide community of doc filmmakers! This course is great if you are a beginner and have never ventured out into the world of filming. I am a filmmaker with a media degree but it was still useful if you haven't filmed in ages. I am a professional musician / composer with 25 + experience, and I am on the verge of creating my first documentary. I promised myself that I will enjoy the ride - no matter what, so wish me luck! I'm sending everyone in this community positive energy, and a strong visualization for a successful future. I'm glad to be part of this great creative community. Hope to improve in making new documentaries. I am a filmmaker. At last some real boost. Am a newbie in doc film making and am starting my first doc... Am so excited am here.. This site just refueled my dying lamp...boo yah!!! I am obviously pleased with the site, I find it user friendly and the content is very relevant indeed. Just finished my 7-Day Documentary Crash Course with Faith Fuller. The pathway to Documentary Film making is less daunting, I am certainly a lot more confident and I am actually getting excited about making my documentary. Your site is a welcome resource for me, especially after 40+ years of documentary filmmaking! (I really need it to help me keep up.) lol Thanks! THANKS for your site.. I mean OUR site. Desktop Documentaries is just like a LAMP in my dark night. Thanks for the support. I love acting, directing, and writing. I want to make small skits and public service announcements for young people facing bullying. I am taking a film writing class and the class assignment is a mini documentary. So I am here to learn. Being a novice documentary maker, this site is just the companion I need. Great! Hi I am Philani. I am very interested to learn more about documentary producing. I have a passion for this type of genre. Currently working on a project about a labour strike. Hoping desktop documentaries will provide me a platform to share the best practices with other experts on the documentaries. Looking forward communicating with you. So glad I found you. I'm looking forward to growing as a documentary producer and it looks like this site is the perfect tool that can help me on my journey. Hello, My name is Dorothy and i am new to this site. I am helping a very talented friend get his business up and rolling. So in the process i am learning new things to. Thank you letting me join. Can't wait to see what i will learn. Thank you for giving me the basic principles to get started. Excited to see how my documentary ends up. Teach The World To Sing! Hello I’m Gisella. Im a theater and journalism major. I started filming a DACA documentary in my home town but had trouble getting the editing started and even finishing the recording was so difficult for me I just felt like I didn’t know what I was doing. I hope this website helps me out in terms of finishing this project and giving me more tips. HI I'm a theatre and film student from the Caribbean and looking to build capacity in documentary film making. I trust your platform allows for networking and community spirited. I've known Faith for a few years now. Her most ingenious website has been such a breath of fresh air to the struggling documentarian/filmmaker wanting to learn this venerable craft. Up until Desktop Documentaries, finding resources available was almost an insurmountable challenge. What few resources that were available had to be paid for. I have had the pleasure and the privilege to watch as Faith's website improved and grew, and how her subscribers grew exponentially in the few short years since I discovered her website. I learned so very much coming here, and everything that I learned here, I never had to pay a penny for all of her invaluable information. It is amazing and wonderful to see that she's grown so much, that she now has to hire assistants and employees to handle the enormous loads that are continuously arriving daily because it has grown too much for her to handle alone. As the title suggests, all you need is "Having a little Faith." Thank you Faith, for always being there for us, the wannabe filmmakers as myself, and to everyone needing, seeking and wanting to know what you do so well. As a former documentary film festival producer, I have a special passion for docs. Having lived in Kuwait for more than 8 years, I have at least one story to share from this part of the world looking at life through a different lens from the States on the topics of sexual improprieties and pedophilia. Perhaps this course can help me. it is a great experiance to be in this platform to learn something. Surfing the internet I came across such a wonderful platform . I'm from the national film and television institute (NAFTI) Ghana. I sincerely believe this platform will generate great ideas with the intention of elevating people and society. I am very honored and I say many thank you for this great and wonderful idea to help people like us through this platform. I believe with what I have learned so far, my documentary is going to be one of the best. My name is Joseph Bahulule and I am incredibly happy to be part of this fimmakers' team. Since March 2013, I have been working with young people to produce short film about different sociocultural problems that affect human lives in Malawi generally, but especially in Dzaleka refugee camp.Our mission is to use films as a platform to identify, assess and fix problems that forcibly displaced people are struggling with and therefore help them actively participate in the integrated & sustainable community development. To be honest, nothing is more challenging than making fictional or real life based documentaries. Am glad to be part of this sharing and learning experience. I've been wanting to make this documentary for ten years and hope to find help with where to start and how to stay motivated and focused. I have the entire story. It is personal and controversial which is why I've been procrastinating for so long. But it's something that needs to be done. A story that needs to be told. More truths that need to be uncovered. A wound that needs to be healed. Thank you for your inspiration and free tips and guidelines. The logistics are the hardest part for me. I'm determined to make it happen. This Is so far the best resource centre for me, I am working on a documentary about some young Refugees from South Sudan living in Camps in Uganda. As I do my research I got here. I am a Filmmaker in Uganda. Hope I will learn and have time to share. I am very grateful that someone thought of making the process of making documentaries down to earth enough. You have taken the mystery out of it for me. As I begin, I want you to know, I'm going to have a lot of questions as a beginner. But I have a vision for important work in our present society on issues I feel must be tackled. So thanks again. Sorry for registering in so late. I hope that many here will become my life long mentors and friends and help me out a bit with your experience. Love this website! Starting my endeavour to build my second documentary film called "Life as an Australian Drag Queen" following the story of one man's journey into Australian drag culture. Any tips welcomed! I like this website and I owe all my confidence to the website itself from today. Thank you guys. This is awesome. I am happy to have found this page. Am doing film, radio and televition production at University of Zimbabwe ,so we have a task of making a documentary i hope this page will help me with the imformation that i need so to produce a good documentary. Hi, after 36 years out of Zimbabwe and 20 out of Africa I am planning to return by driving home from Europe and in doing so make a documentary of my 20k kms journey, but I also have some additional ideas. Really new at this so I need all the information and help I can get and this site is proving to be very useful. I came across this website when searching the Internet for some other information. I am in a process of making my first doc film, about Clementina Sobieska (1702-1735), the wife of would-be King James III. As it is a historical documentary I still have a lot of things to do to get facts right, but I hope this website will clarify few things for me. Hi, I am a visual researcher from Papua New Guinea. My current project is about the plight of the Manam Island IDPs which involves the production of a 20 minutes video. 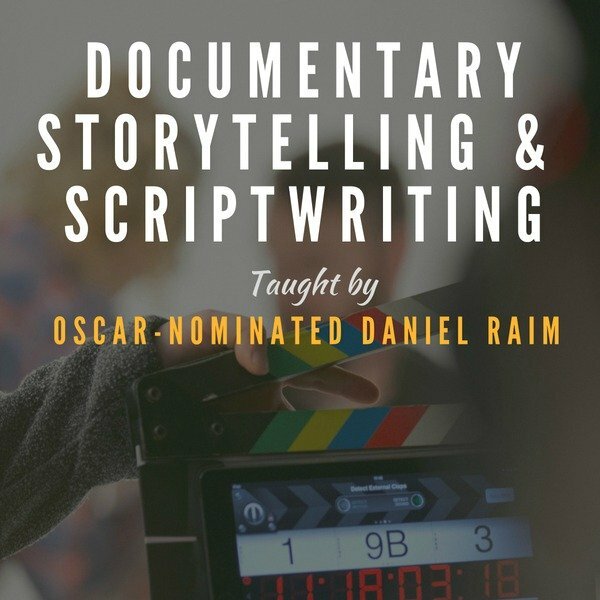 Getting into this free online course is an opportunity of a lifetime and I hope to bring as much of what I gain from it to finish my current project and also hone my film making skills in order to pursue a participatory community filming projects. I have always wanted to get more insights into film making and just happened to come across this website while web surfing and it definitely feels like hitting a pot of gold. So 'great-full', thank you Faith. I am a business writer/publicist. I write pitches, business plans and projects for clients. When the webinar offered the opportunity, I wanted more information. I always give the budget to someone more qualified because I am a wordsmith with persuasive communication. The webinar made me start thinking in a new direction. I am honored to be among the members of this site. Incredibly resourceful and helpful. Thank you. My name is Robert and I'm in the US. 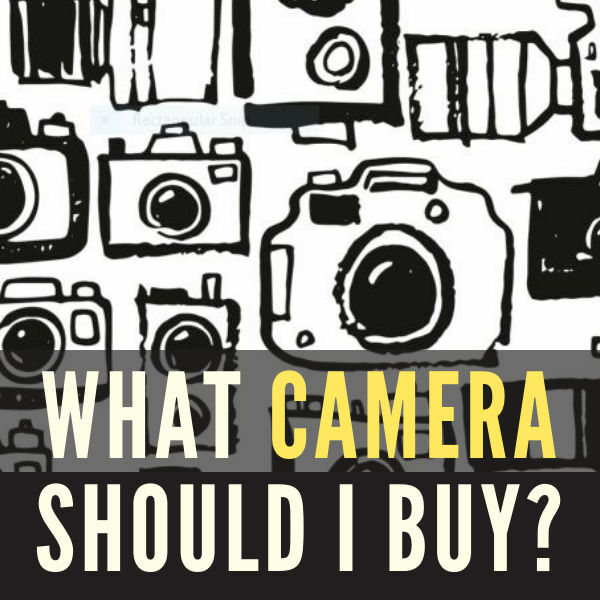 I found this site very helpful in guiding me through the process of picking or rather choosing the gear for documentary. I really appreciate all the hard work Faith has put in. My name is Xolali from Ghana,I find this page very useful as i am beginner learning new things in the production of documentaries. I will be producing my very first documentary and i think the site will help me to do best thanks to be part of this big family. Yes.. very didactic. Thank you. I'm a beginner who is about to start making documentaries for my school, so I wanted at least some insights. You've given me more than that, I guess. Relieved is exactly how I feel bc although I've been in front of the camera many times, I'm just venturing into working behind it. I know I have a lot to learn. I'm making my first doc and knew nothing about how to do it. Frankly, I was feeling panicked and slightly terrified. I found DD thru an online search for info about making docs and voila! here I am. Just took the free starter course and already have solid steps to take. I know I'm in the best place to start my learning. Now, thanks to DD, I'm no longer in the basement (or maybe even the sub-basement) but on the first floor and I intend to go as high as I can! I'm relieved, calmer and excited!! Hi there, I've been in video production for the past 30 years and have only recently started creating my own docos. Desktop Documentaries is an excellent resource for film makers across the board. Hi guys! I am currently living in Bulgaria and I am about to graduate my master degree and finally to be a producer. I was looking for tips in the web about my documentary movie and here I am. Thank you! I've just taken the first leap and purchased the Desktop Documentaries on preparing a fundraising documentary. I've briefly read the contents. I already love it and I can't wait to sink my teeth into writing up the proposal. As a beginner videographer and film lover, having a site like this at hand, where you can save yourself time in finding related information and concentrating on one site, is invaluable. Thank you very much for creating this site. I find this page very useful as iam learning new things in the production of documentaries.Did one doco but needs alot of coaching and advise to be a good doco producer. Very glad to came across desktop documentaries. I am a TV reporter and I am looking forward to start my new documentary and learning from you. Thank you for providing and sharing your Documentary Starter Kit. I'm a recent college graduate and current intern at KLRU-TV, PBS Austin and am beyond interested in producing documentaries. I am in the stages of doing a few shorts to "get my feet wet." I really appreciate that the kit provides a solid foundation on which to build the stories. I look forward to the free weekly tips! 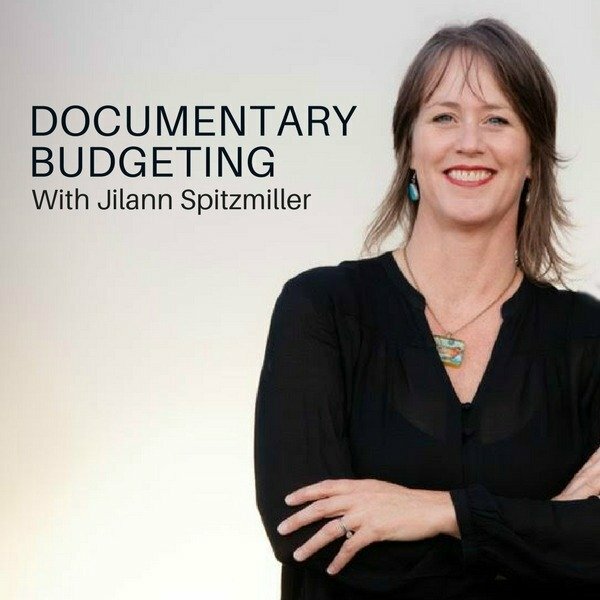 Thank you for being such a valuable resource for everything Documentary, I am a DP with 15 years of experience producing corporate, and commercial videos, and I am in the process of producing my very first documentary. I've scoured the internet looking for a resourceful website and have not found anything close to DD. Once again thank you and I look forward to all of your advice, courses, tips, and weekly emails. Thank you DeskTop Documentaries for offering your valuable, exciting film making information! I am extremely looking forward to working on my very first film, using your FREE information! So glad I signed up for your newsletter! Hello, I am Alex from Slovakia. Me and my husband love the film making experience and recently we decided to make documentary about our travelling experiences. 4/11/17 Thanks to Amber T. for her interview about the making of her film 'What it takes'. I too am embarking on this rough and tumble road to film making. My subject is the lack of transparency in government and how the U.S. Core Citizen: the family can gather together and get involved in the running of this country. May I refer this interview of Amber in my distribution dialog for my film? I have been in the film industry (Movie censorship & classification) for about four years now. I recently decided to venture into the art of film making and i stumbled on this lovely site. I like the fact that it is simple and easy to navigate. The tips and instructions are straight forward and very handy. Over the next couple of days/weeks, i hope to come here and get all the needed information and materials i'll be needing on this journey. Feeling good to have a place to teach me things and to help me. I have made more then 100 shows very very similar to documentary films, but now I am learning new things from your site. Hello my name is Renee Spurlin and I'm a recent Journalism graduate. My plans are to create a documentary film about race and heritage. As passionate as I am about the subject matter, filming this documentary is uncharted territory for me. I'm a little scared, but I'm ready for the challenge. I hope to learn all the I can along the way and I look forward to using your daily tips to do so. I work part time as a freelance journalist who is looking to get in to documentary film making more. I searched around to many different sites, but I would have to say this seems to be the most resourceful and substantive. Looking forward to learning and interacting with others here! I'm in the middle section of producing a documentary, 'Post Development' zone as all the filming as been just about been done and dusted. Lots of amount of video's, interviews and screens. My investors waiting for me to produce the project and just want to see it. 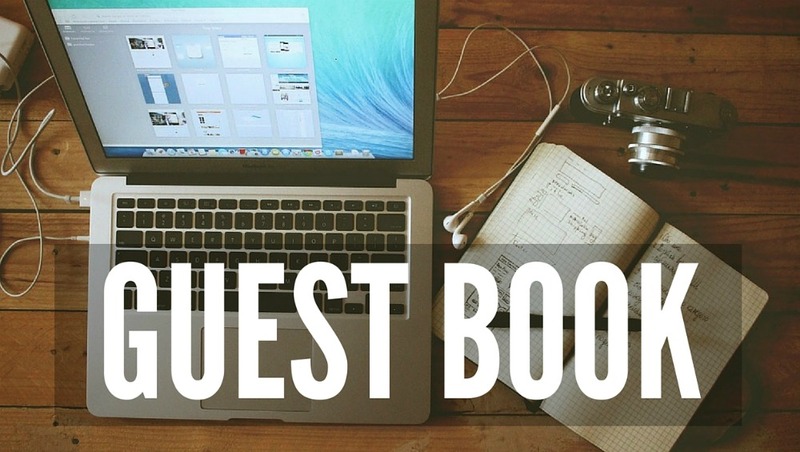 I'm sure I have questions but a the moment just happy to look around your website. A retired researcher who has used video interview to enable individual voices to be heard around difficult /contested topics such as managing land for bushfire protection/prevention. However, my real passion is horses and how they teach us to be better people. As prey animals, they are vulnerable, easily dominated and are quick to lose trust in us predators. For a harmonious relationship, a person needs to be able to build trust and keep it, have good self awareness, clarity of mind, free of judgement and a body free of brace. Having said all that - I am excited about an idea to interview horsemen (famous and not so) to reveal a heart story between man and horse that resonates across 'all' other relationships. Drawing out their individual capacity to have a 'harmonious relationship'. I had been trying to find info on how to estimate costs for budgeting for certain things like the ongoing needs of research, or even the expected budget cost for Expert Interviews. I had been researching online all weekend to no avail, yet kept finding myself navigating back to your site uncovering more filmmaking surprises. Thank you very much! This is by far the most comprehensive documentary filmmaking website I've found out there. I was an actor/screenwriter for years til my career was unexpectedly cut short, tho the activist/storyteller in me will never quit. I am just stepping back up... I am vastly familiar with the creative aspects of the process, but not the producing/budgeting pieces-which is clearly necessary to receive any funding I am hoping to start the 7 day documentary course by week's end, excited for all else I might uncover to along this journey... Thanks again, very much! I'm a screenwriter.I developed interest in documentary film-making long ago, but have been procrastinating going into production. Your site has been a great inspiration. I guess I'm all set to answer the call now. New to making Documentaries; I interested in making a Doco on SCHIZOPHRENIA; to help explain the illness to the patient for better understanding. Looking at people who have both hearing voices and seeing images. Looking at the stresses of life and various drugs have a play in this. Hi. This is a great site. I've been working in documentary production since 1984 originally as an editor cutting films for BBC and ITV. I have also taught media production in further and higher education and am now working on a range of projects from short to long form docs with old friends from industry who love their craft. Hi everyone, I am Berenger Owondo from Gabon based in South Africa. I own a humble organization called Owondo Corporate Digital Media Production ( OCDMP) . We are an organization which first empower young and women, we are interested in the path of making documentaries about real life and real people, any tips that anyone could provide will be helpful, also I found this website extremely informative soon I will take 7 days crash documentaries courses online... I wish us all the best on our journey. My story is based on facts lust lies and the murder of my youngest son and how we can live with emotional catastrophes, and how do we prevent it.. for our future generations. Hi, I'm retiring from my day job and working on documentary shorts for public access and web series. Hello from New Mexico USA. I'm nearing 6 decades of life and in the last year I have become enamored with the possibility of creating documentary films. I currently create some commercial videos as a side business but I would like to take that to a higher level in making films that might make even the smallest difference for creating a better world for all who live on this planet. I'm very much looking forward to what I can learn here. hi I am Moses in Zimbabwe and I found this website as I was looking for other tips on making sound documentaries. I found very helpfull tips on this site. First time ive seen this, but it gave me the info i was looking for straight off without all the clean my pc plugins you usually get. As i went through it showed me so much more.. great site. I'm Mohamed Dardir,TV Studio Director, from Egypt..
Hello! I got inspired with those independent films that have been made here, and outside our country. I really hope that I can contribute and share my work to the world!!! Hi, I'm Anis and I am happy to be a part of the website ! I'm an upcoming film student also have a passion for photography. hello. I am Primrose Fundai FROM Zimbabwe. I am very grateful for this valuable information.I DO charity work ,working with orphans and vulnerable children,HIV prevention programming and would like to start my first documentary. looking forward to learn sumthing that I always wanted to learn, I always wanted to tell stories period. So excited to be part of this team and I am hoping to learn more. Just about to start on my first doc. I am a young lady from Botswana. Its nice to make contact with you guys. Hoping to learn a lot from here. Cheers! Hi fellow filmmakers My name is Trinity, a Nigerian Port Harcourt base Videographer. For the first time I delve into making documentaries which I intend starting next week. I have already gotten a lot of tips down here and I hope to put all of em to work. I am currently directing my second documentary. Discovering the advice from Desktop Documentaries this year has been really helpful and gives me confidence to know so many other filmmakers are in similar positions. I look forward to receiving more tips from this site and suggest anyone interest in producing, directing or pitching documentaries sign up to this fantastic site and all the free advice available! Hi Jeff, From Kenya. Just about to begin shooting a documentary, believe this will be helpful. Your site is quite a blessing to me. I am very blessed to be filming my first feature film. "Environment For Murder". Hi guys i am from Sierra Leone,hope to learn new things as we are just in the preliminary stage in film making. Hello to My Filmmaking Family! Hi everyone! I pray all is well with all of you! As we each start or continue on this journey, may we all be a support to each other and learn from the breadth of the information on this website! Thank you so much for this information! I just joined, but I am already loving it! I am a photographer and a pencil cartoonist, I am from Lagos Nigeria, I had an offer to make a demo type documentary, of which I haven't done before, then I hit the internet and puuff here I am up in the sky by just the front page...this is a real tool kit for beginners.. I have been in South Africa for about 15years and next year I want to relocate back to my Country Ghana. Four years ago I started part time photography biz. If i get back home, I want to start shooting documentaries of pressing issues in my country to make a change in my country for the future generation of my country. So I searched the net about how to make documentary films. This site has all the advice I will need, its only a fews hours and my mind is cleared about my doubts on shooting documentaries. Greetings from Hopefield, Western Cape, South Africa. This looks like a great forum. I'm expecting good things. I actually have already been receiving emails from this site, it's just the first time I'be signed the guest list. I'm looking forward to learning all I can about making documentaries. Thank you so much for this site. I am doing my first documentary on reconciliation processes in the Autonomous Region of Bougainville, Papua New Guinea and couldn't get it off until going through this site. I am now planning the documentary. Really needed assistance in planning and scripting but here I kind of found my bearings. Greatest and most helpful site for upcoming documentary makers. Thank you for this site. My honey and I both finished our military careers and we are seeking to capture some very valuable things... He's been doing it for a while and me, I'm new. We're hoping to find grants, great mentors and unlimited info and tips. Thanks for having this page... As I experience it I'm sure the other stars will be "presented". Most interesting and helpful site. As a film and documentary student, i find this website as a real tool kit. I'm just really excited to start learning about making documentaries and I'm veryyyyyy glad I found this place because it's perfect! All the Testimony is giving Hope for the upcoming to get strong and to know more. We appreciate your effort. You can tell by the questions Faith asks that she truly understands the difficulties encountered by documentary filmmakers. She knows the ups and downs. The effort it takes to reach milestones along the path. It's a major undertaking and she offers resources and support that we all need. It feels good to read her words of encouragement. Keep the faith! Hi Faith, I love your site, and I appreciate the way you turn complicated concepts into clear, concise, easy to digest information. I am working on my first documentary, and you are someone I turn to. I work in film production and I have a documentary project. I came across your website accidentally when I was researching the Internet. I find your website very useful for all those interested in making documentaries and I already found a lot of interesting and helpful information. Thank you very much again and keep connected! Now I can really appreciate this site, starting our first documentary. Excellent! Everything is all here, accept for the Canadian side of legalities. but still, this saves me so much time and money. Thank you, you really make this learning experience so easy. It probably would have taken me years to find all of this out on my own! I love your site thank you so much for all of this, you're great! I may not be a budding film maker per se, but I do want to make videos. Some sentences I read on here are actually, dare I say it, more eye-opening and helpful than what I personally learned in school. Thank you!! I found your site by chance while suggesting crowd funding to a colleague. Congratulations, as someone who's made a living out of documentaries for 30 years, this is one of the most comprehensive summaries of what it takes to do it that I've ever seen. Thanks for this fantastic site, that gives hope, practical advise, and much guidance while one could easily feel lost beginning from nowhere, in this chasing of dreams adventure.. I discovered by coincidence your fabulous site, while looking for tips about documentary filmmaking, for an idea of a small documentary I wish I could realise in Manhattan.. It is so comforting to see all these testimonials and the large community of persons that followed this pass, generously giving advise and guidance to new comers. The tools you offer are impressive, and will accelerate my growth as documentarian very quickly. Thank you! What a wonderful way to learn. Forget the 800 comment - you corrected situation fast via email! This is the best website I have ever visited and have benefited a great deal from it. I improved my skills and I started making documentaries after learning from this site and since then i have made 4 documentaries. I really would like to thank you for the great tips and techniques given by this site. Am really glad that Faith 'held' James's hand and helped him to not give up the film about his parents. Thank you Faith for 'being there'. It's amazing to have such great "Faith"
A while ago I decided to walk away from a passion project of mine, namely, a story about my late parents. I had a grandiose dream to film and produce a feature documentary mini-series that would tell their story. My hope was to involve my siblings and as many family members as possible. But it turned into a fruitless effort and no avail with support or participation by any of my family, especially my sibs. After more than 15 years of effort, I put the project down and walked away from it altogether. Faith emailed me and expressed her sadness and disappointment at my decision, but respected it. She also encouraged me to not give up on it altogether. Recently, I had an epiphany of a sort. I watched some of my old works on the project, and suddenly my head was and is, swimming with a plethora of ideas for how to create a story film about the lives of my parents. instead of being a feature mini-series, it will be a feature length film, told from a single perspective, and will be a factual documentary only. No siblings, no family involved. Pieces are falling into place. I have learnt to be more confident as a documentary film maker. Faith's not just a Pro! Faith's not just a Professional, but a revolutinary! And her ideas will not only revolutionarise the film industry, but will go a long way in positively changing the way people do things. Finding a website that offers these valuable tips for free, in a world where most people are self-centered, is a great great thing! God bless you Faith! This site is wonderfully superb! All the documentary filmmaking tools and resources are provided, with emphasis on Do-it-yourself methods. Glad I`ve visited this site; it`s gonna be my favourite, am sure! The best crash course I've had in my life. I guess the next step apply all this knowledge into my next documentary. God bless you faith, with love from Lagos Nigeria. I have shared with my colleagues the tips and info which Faith posts regularly. I love the 7 day crash course. I am a full time mother of two young children with a doco Idea that is unfolding right now. 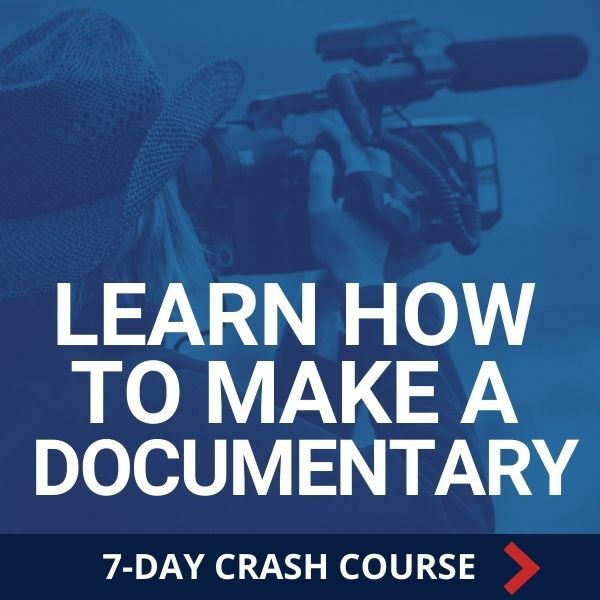 I needed something that's to the point and did not take up much time- this course is perfect!I have background in acting and presenting, so I have a bit of an idea of the film making process but this course connected all the dots and took the mystery away! Documentary film making is a relatively new genre in my country, Tanzania in East Africa. Faith, you are conducting a school without walls, a school without borders. Thank you so much for your excellent site - I think it is the best I have seen in terms of demystifying the documentary filmmaking experience! Appreciation for wat u r doing..
m very blessed and m still learning from Desktop Documetaries..the information i get is very useful and powerful for a student like me who is doing television and film production.. Thanks, I needed a direction and your words made my project possible. Re-organizing priorities has led me to go forward with confidence that I am able to turn my latest book into full documentary. Glad I found you! Thanks again! THANK YOU for creating this website. I produced a documentary video waaay back around 1983. I've traveled a number of paths since then and find myself ready to produce again. Your website is an incredible resource to help me get going again. I'm also signing up with a local community access tv station to propel my efforts. I have a very definite idea for the documentary that I want to produce. I have a mostly un-related full-time day job so I won't be able to go full throttle. Thanks again for your contribution. I am a journalist from Mauritius and I followed your 7-day online course on documentary filmaking. I must say the course is more than excellent for those who want to know what documentary making involves. What is given in the course exceeds what one expects from even a seven-day inhouse workshop. The course is a good starting point for all creative people who contemplate a change in career. Thank you and keep the good work going. THE BEST ONLINE DOCUMENTARY FILM UNIVERSITY EVER! This site undoubtedly is the best Documentary Film University ever built online.I am a journalist and want to focus on documentary filmmaking, but have no professional training in film production. I have been scouting the internet for a very good website and I discovered this gem. Everything I need to become a professional documentary filmmaker is right here.This page is extremely indispensable! Thank God for the unselfish individual(s) who built this great site. God bless you! Desktop Documentaries is the best resource centre for film/documentary makers and ethusiasts I have known. I have my debts to pay for immensely benefiting from this resource centre. Faith Fuller, I am heavily indebted to particularly you. But I will soon pay my debts if you know what I mean. by: Pawel Przywara, Ph. D.
My name is Almis. I appreciate the information you demonstrated about how to fund documentry films and how to carry it out and shown the system of modern knowledge. I thank mortals like yourselves. I am actually a high school filmmaker, but I am currently working on an hour-long documentary about Tourette Syndrome. It may sound crazy, but I produced the half hour pilot version of the documentary in grade nine! I am very passionate about filmmaking, as well as raising awareness for Tourette Syndrome, so I am very happy to be working on a project in which I can combine both! I look forward to learning even more from your website, and would be happy to send you a copy of my film when it is finished! I'm a first time producer and in preproduction for my first documentary. Already, I've found your site amazingly helpful. I will be visiting often. I want to inspire others to follow their dreams and the desires of their hearts no matter what they have gone through- be it loss, suffering or betrayal. My film will be about the journey in making music and finding my purpose later in life. Dear Faith, I want to say that I admire you very much. Not only did you turn your impressive experience into a great asset, you provide much needed help to newbies like me. You example is very inspiring. Thank you! I'm extremely grateful for this website and the information herein. I feel fortunate Google placed your website near (or at) the top of my search. The content you've provided has greatly encouraged me and empowered my will to film my documentary. I now know I can successfully express myself and justly reflect my subject matters with everything contained on these pages. This website is a definitive one-stop source that I'll use for my artistic endeavor. A well thought out and concisely written website... many thanks... just stumbled upon it by chance... glad I did though! I am studying an MA in Documentary and its a useless course so I stumbled upon this website by pure chance and I am very pleased that I did. I find it has some excellent information which is very helpful to a newbie like myself so a big Thumbs Up! by: James M. Williams Jr. Faith Fuller at Desktop-Documentaries.com continues to provide high quality services and assistance to any "Wannabe" documentary filmmaker and/or videographer. Much of what she provides is free, including all the links for grants, filmmaking, info about cameras, camcorders, audio, pre-production and post and so much more. She gives an incredible wealth of information and does it most of it for free. What she does charge for are her books that she invested years and countless hours putting together, yet her prices for them are so affordable and beyond reasonable. While it's true her books are electronic, the information they contain are invaluable to anyone wanting to delve into the field of filmmaking and videography. Thank you Faith for everything, but most of all, for your continued support and inspiration. I was pleasantly surprised at the simplicity, cleanliness, content and layout of your website. The quality and scope is very adequate for me as a relative beginner in videography. I am 67 years of age and love making documentaries of the local fauna in my travels around Australia. Once again, thanks for the help you offer on your site and congratulations on your presentation, it is 1st class. Thank you Faith and blessings. Thank you Faith and blessings. Congratulations with your accomplishments and with your desire to help other. I feel truly blessed to have found your web sight. I am in process of finishing one of multiple books I am writing, I also own the rights to an awesome rap song that is finished that is about my life, and lastly, I have been working on my life documentary film gathering interviews, photos, video footage, etc. and remain excited as I plan to release the book, cd, and dvd documentary simultaneously. Thank you once again for your impartation of knowledge, wisdom, understanding, and experience that will contribute to the success of my product launch within the months to come. Have a great, special, and blessed day. I had my stories in my head for a while until I say a lot of people can very much benefit from my stories,this site has made it possible for me to do so.I didn't know it could be so easy & straight forward.Thank you I really appreciate your support.Audley Smith Jnr. Your website is amazing! I am in the process of making my first documentary on an iPhone and I have learned so much here already. Not only is the content great I find it easy to navigate the site. Kudos! Excellent! Amazing! Can't wait to get going. Really ideas are very good and affordable. I am definitely going to experiment these in my next shooting. Thank and looking ahead for many more such ideas or tips. i need to know more about your organization. i also need your email address so that we can communicate better. 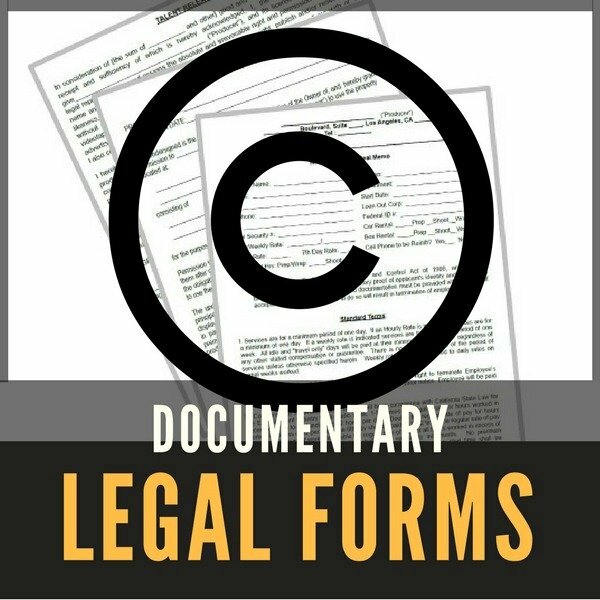 Great information and a perfect one stop internet source for everything you need to know about making a film documentary. Thank you so much, all the information here has come in very handy for me. About to embark on my very first project and this site is a treasure trove of hints and tips. Wow and thank you! I am delighted to read this blog. Really helpful and inspirational..
Great site with great solutions. God bless you for all you give through this site! Thank you! Great site. I will be visiting alot. I have visited and continue to visit this website many times since I discovered it a few years ago. The information she provides and giving people the ability and choice to post their documentary ideas is a HUGE asset. I also appreciate all the links and information that she posts and provides for free. I've learned a lot since I started using her website as an information source. Thank you FAITH FULLER!!! You are a true inspiration. Thanks a lot. actually I was searching for more tactics for documentary film. This site gave me some ideas. The tips on this site are pragmatic and provides enough impetus to starters! Thanks dear publisher.. Thanks to the author -- I found the camcorder article comprehensive, and it helped me to narrow down what is important or essential for a beginner cinematographer. Wonderful to learn that the great mysteries of video making are so easily manageable! 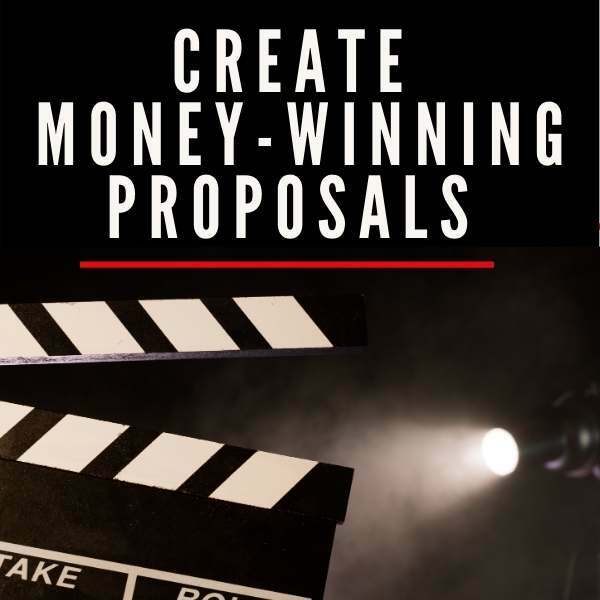 I am grateful for this resource that gives me a DIY option when faced with VERY inflated prices from professional film makers. I'll soon be starting work on a documentary, the site has helped me put some order in my thoughts, helpful hints! After reading the article on steps to follow after post production of film, I felt more uplifting and encouraged to go ahead in shooting my african base action film. this film will set for shooting in south africa. please wish me good luck. I am a professional filmmaker, and I applaud this site for detailing the ABC's of documentary filmmaker. It serves as my own checklist as I continue making my own films... Thanks! Thanks a lot for your continued support and advise on documentary making. I am indeed gaining a lot miles away from you. Thanks a great deal Faith! thank you, I had been wanting to do a documentary for so long. but just didn't have idea where I would start. everything u listed to help me get started was what I been thinking. always second guessing myself. but when you get confirmation then you know it shall happen. I am a trained film professional, but the wealth of knowledge as offered by desktop documentaries is invaluable. thanks much. Thanx for posting this article. We as script writers are really learning more than enough and can authoritatively lecture on documentary. This is a very nice briefing and will help me in my film competition.Thanks guys. thank you so much :D this is a big help so that I can finish my project. Enough to make a quintessential doc filmmaker. I am very excited to have found your website. It's proving to be a valuable tool in my efforts to achieve my goal of completing this project. It has already taken far too long and I'm ready for it to grow. Your website and all the information and links has given me new hope and a vigorous willingness to plow ahead and work on the project again, THANK YOU!!! After much search on the basics of documentary making, found this little gem. Informative and easy on the mind. In every aspect of living there is the is a consciousness that the best ideas comes from the best equipped people. Desktop Documentaries are changing that because there are more stories to be told other than the ones we usually see. Great work! Desktop Documentaries is a beacon in information for future documentary makers. A very meaningful site for my students. They are interested in film making. It's a good site. I've found nice tips on how to make good documentaries. I just wanted to say that I think your website is amazing. I am a beginner with an idea, and the info and articles on your website are easy to understand and answer many questions I have. I was also impressed that I got some feedback on my doco idea within about 24 hours of posting it. I can't wait to start filming!